Central Intelligence or Dumb and Dumber? 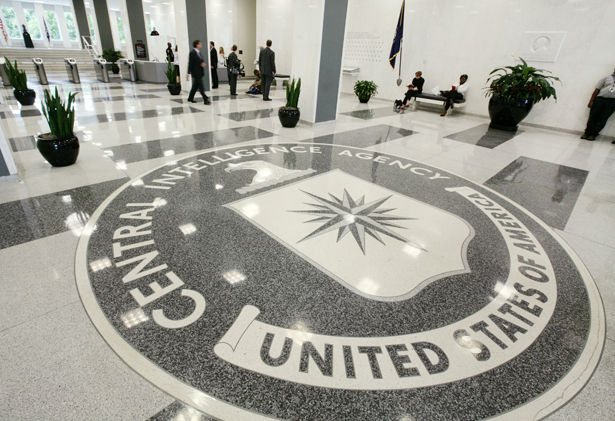 A secret CIA drone base, a blowback world and why Washington has no learning curve. Or you could simply wonder what’s in Washington’s water supply. Last week, after all, there was a perfect drone storm of a story, only a year or so late—and no, it wasn’t that leaked“white paper” justifying the White House–directed assassination of an American citizen; and no, it wasn’t the two secret Justice Department “legal” memos on the same subject that members of the Senate Intelligence Committee were allowed to “view,” but in such secrecy that they couldn’t even ask John O. Brennan, the president’s counterterrorism czar and choice for CIA director, questions about them at his public nomination hearings; and no, it wasn’t anything that Brennan, the man who oversaw the White House “kill list” and thosepresidentially chosen drone strikes, said at the hearings. And here’s the most striking thing: it should have set everyone’s teeth on edge, yet next to nobody even noticed. Last Tuesday, The Washington Post published a piece by Greg Miller and Karen DeYoung about a reportorial discovery which that paper, along with other news outlets (including The New York Times), had by “an informal arrangement” agreed to suppress (and not even very well) at the request of the Obama administration. More than a year later, and only because theTimes was breaking the story on the same day (buried in a long investigative piece on drone strikes), the Post finally put the news on record. It was half-buried in a piece about the then-upcoming Brennan hearings. Until that moment, its editors had done their patriotic duty, urged on by the CIA and the White House, and kept the news from the public. Never mind, that the project was so outright loony, given our history, that they should have felt the obligation to publish it instantly with screaming front-page headlines and a lead editorial demanding an explanation. According to the Post, approximately two years ago, the CIA got permission from the Saudi government to build one of its growing empire of drone bases in a distant desert region of that kingdom. The purpose was to pursue an already ongoing air war in neighboring Yemen against Al Qaeda on the Arabian Peninsula. The first drone mission from that base seems to have taken off on September 30, 2011, and killed American citizen and Al Qaeda supporter Anwar al-Awlaki. Many more lethal missions have evidently been flown from it since, most or all directed at Yemen in a campaign thatnotoriously seems to be creating more angry Yemenis and terror recruits than it’s killing. So that’s the story you waited an extra year to hear from our watchdog press (though for news jockeys, the existence of the base was indeed mentioned in the interim by numerous media outlets). One more bit of information: Brennan, the president’s right-hand counterterrorism guy, who oversaw Obama’s drone assassination program from an office in the White House basement (you can’t take anything away from Washington when it comes to symbolism) and who is clearly going to be approved by the Senate as our the new CIA director, was himself a former CIA station chief in Riyadh. The Post reports that he worked closely with the Saudis to “gain approval” for the base. So spread the credit around for this one. And note as well that there hasn’t been a CIA director with such close ties to a president since William Casey ran the outfit for President Ronald Reagan, and he was the man who got this whole ball of wax rolling bysupporting, funding and arming any Islamic fundamentalist in sight—the more extreme the better—to fight the Soviets in Afghanistan in the 1980s. That’s all ancient history and painful to recall now that “agitated Muslims” are a dime a dozen and we are (as Washington loves to say) in a perpetual global “war” with a “metastasizing” Al Qaeda, an organization that emerged from among our allies in the First Afghan War, as did so many of the extremists now fighting us in Afghanistan. So how about moving on to a shining moment a decade later: our triumph in the “100-Hour War” in which Washington ignominiously ejected its former ally (and later Hitler-substitute) Saddam Hussein and his invading Iraqi army from oil-rich Kuwait? Those first 100 hours were, in every sense, a blast. The problems only began to multiply with all the 100-hour periods that followed for the next decade, the 80,000th, all of which were ever less fun, what with eternal no-fly zones to patrol and an Iraqi dictator who wouldn’t leave the scene. By now, I’m sure some of this is coming back to you: how disturbed, for instance, the rich young Saudi royal and Afghan war veteran Osama bin Laden and his young organization Al Qaeda were on seeing those “infidels” based in (or, as they saw it, occupying) the country that held Islam’s holiest shrines and pilgrimage sites. I’m sure you can trace Al Qaeda’s brief grim history from there: its major operations every couple of years against US targets to back up its demand that those troops depart the kingdom, including the Khobar Towers attack in Saudi Arabia that killed nineteen US airmen in 1996, the destruction of two US embassies in Africa in 1998 and the blowing up of the USS Cole in the Yemeni port of Aden in 2000. Finally, of course, there was Al Qaeda’s extraordinary stroke of dumb luck (and good planning), those attacks of September 11, 2001, which managed—to the reported shock of at least one Al Qaeda figure—to create an apocalyptic-looking landscape of destruction in downtown New York City. This was, of course, a kind of madness. After all, Al Qaeda wasn’t a state or even much of an organization; in real terms, it barely existed. So declaring “war” on its scattered minions globally was little short of a bizarre and fantastical act. And yet any other approach to what had happened was promptly laughed out of the American room. And before you could blink, the United States was invading… nuts, you already knew the answer: Afghanistan. After another dazzlingly brief and triumphant campaign, using tiny numbers of American military personnel and CIA operatives (as well as US air power), the first of Washington’s you-can’t-go-home-again crew marched into downtown Kabul and began hunkering down,building bases, and preparing to stay. One Afghan war, it turned out, hadn’t been faintly enough for Washington. And soon, it would be clear that one Iraq war wasn’t either. By now, we were in the express lane in the Möbius loop of history. So in early April 2003, invading American troops entered a chaotic Baghdad, a city being looted. (“Stuff happens,” commented Secretary of Defense Donald Rumsfeld in response.) On April 29th, Rumsfeld held a news conference with Prince Sultan bin Abdul Aziz, broadcast on Saudi TV, announcing that the United States would pull all its combat troops out of that country. No more garrisons in Saudi Arabia. Ever. US air operations were to move to al-Udeid Air Base in Qatar. As for the rest, there was no need even to mention Iraq. This was just two days before President Bush landed a jet, Top Gun–style, on an aircraft carrier off San Diego and—under a White House–produced banner reading “Mission Accomplished”—declared “the end of major combat operations in Iraq.” And all’s well that ends well, no? We don’t, of course, know whether they blanked out on recent history or simply dismissed it out of hand, but we do know that once again garrisoning Saudi Arabia seemed too alluring to resist. Without a Saudi base, how could they conveniently strike Al Qaeda wannabes in a neighboring land they were already attacking from the air? And if they weren’t to concentrate every last bit of drone power on taking out Al Qaeda types (and civilians) in Yemen, one of the more resource-poor and poverty-stricken places on the planet? Why, the next thing you know, Al Qaeda might indeed be ruling a Middle Eastern Caliphate. And after that, who knows? The world?